The most valuable asset is time, yet it is rarely ever mentioned as a distinct asset class. For those of us who plan to Invest Like A Farmer, labeling time as an asset class is vital. This concept is important because time is one of the key elements in conjunction with portfolio selection and investing knowledge that helps generate compounding returns. 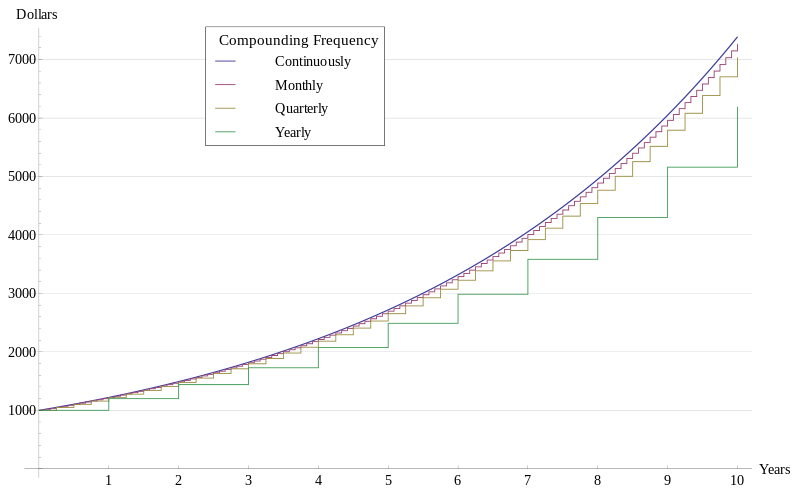 As financial farmers we loathe static returns and love exponential returns, especially if there is any chance of leap-frogging along the time axis. The value of time to one who chooses to Invest Like A Farmer is tremendous; as financial farmers we think in terms of seasons, in years, in decades. That is where the exponential portion of the growth charts develops if we have invested prudently and also where, by definition, we find the greatest real returns. I've often heard the analogy of Wall Street to a casino, but I would argue whereas the longer you stay at a casino the more likely you are to loose, the longer you stay in the stock market with a prudently constructed portfolio, the more likely you are to win. The primary reason for the former is that the odds are stacked against the player and remain static for the vast majority of games; the reasons for the latter result are that a number of variables sway in the investor's favor including innovation, efficiency, and population growth to name a few. This is precisely why young investors (think very young, like just born) should have a tremendous advantage in beginning their investment careers. The sooner seed capital is deployed in a prudent investment portfolio the better, there is no better time to begin when the time curve is in one's favor; ideally investments are planted, grow, and compound as soon as possible. There is tremendous power for a newborn to have an investment portfolio established, funded, and invested frequently during the early years. 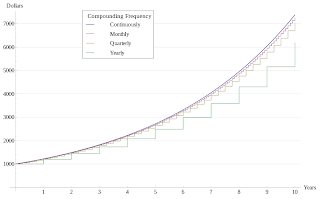 The advantage of time is to ratchet up along the compounded rate of return chart as soon as possible, this is why time should be considered an asset class. It is preposterous to ignore the significance of time; the seconds, minutes, hours, and days are all around us for the taking; even harnessing a fraction of the time provided during a statistically average lifetime is massive, over succeeding generations the wealth that can be created is basically limitless. If early investing years have escaped the financial farmer, then he needs to fabricate time. How is time created? Simple, one needs invent, create, or buy compounding assets. These assets can come in multiple forms, from stocks, to real estate, to even patents. The greater efficiency of the asset, the greater potential in "creating" time or moving smartly across the spectrum of time. There is a reason why children of wealthy parents often have significant advantages; many have been investing, whether they knew it or not, since birth. For older investors, the ability to fabricate time will boil down to finding and deploying seed capital in efficient portfolios that have assets capable of producing compounding returns, and the sooner those assets generate exponential returns the better. If one has time, then make the most it; if one is lacking time, make time.